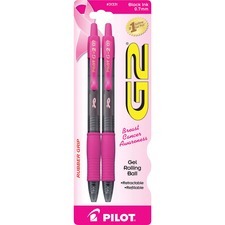 G2 Retractable Rollerball Pens contain water-resistant, smear-proof gel ink for exceedingly smooth writing. 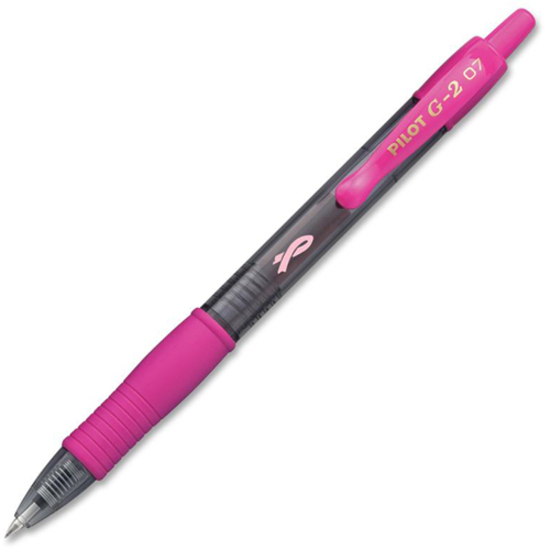 Pens also raise breast cancer awareness with pink accents and support breast cancer education, support and early detection. A portion of proceeds from the sale of this product is donated to the American Breast Cancer Foundation. Contoured, latex-free rubber grip provides writing comfort. Point retracts with a simple push of the plunger top so no cap to lose. Long-writing pen is refillable.